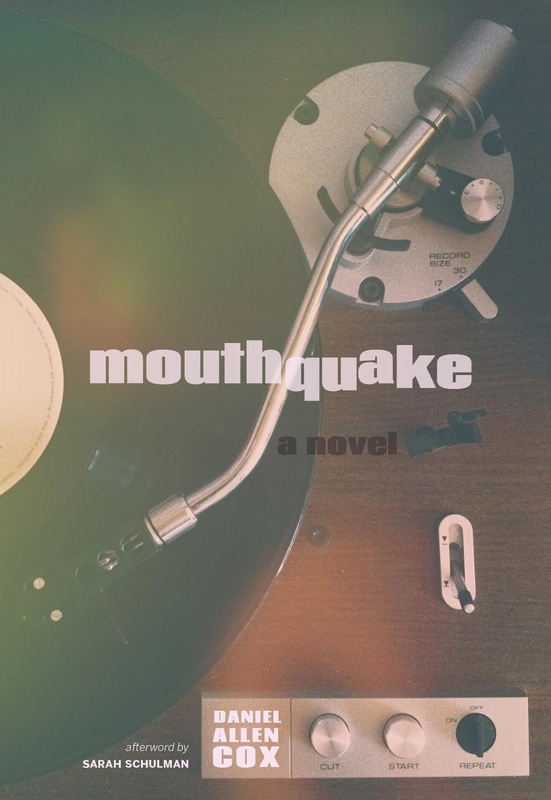 Please join Daniel Allen Cox and Mark Ambrose Harris for the launch of the novel Mouthquake (Arsenal Pulp Press) on Thursday, September 17th at 7:00 p.m. Both authors will read from their work. Copies of Mouthquake will be available for purchase. Daniel Allen Cox is the author of the novels Shuck, Krakow Melt, Basement of Wolves, Mouthquake, and the novella Tattoo This Madness In. He co-wrote the screenplay for Bruce LaBruce's 2013 film Gerontophilia. Daniel was a 2015 writer-in-residence at the Zvona i Nari Library & Literary Retreat in Ližnjan, Croatia. He lives in Montreal, where he is vice president of Quebec Writers' Federation.